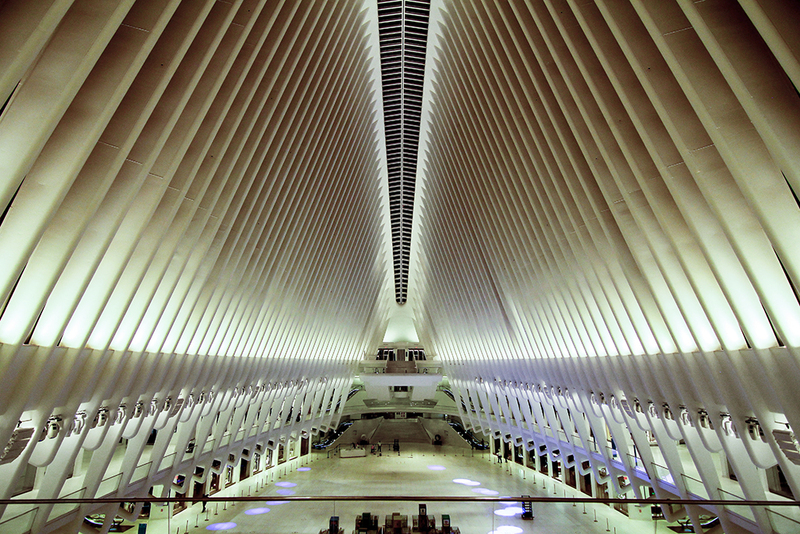 Oculus is the new transit hub at the site of the rebuilt World Trade Center in downtown Manhattan. At 800,000 square feet, the hub consists of a train station, plaza and shopping mall that serves approximately 250,000 commuters each day and welcomes millions of visitors each year. For the Oculus, in the heart of the Westfield World Trade Center Mall, acoustic overseer and president of Busy Puppy Productions Ron Lorman, together with John Ackerman of VP Worldstage, needed a compact system on behalf of Westfield that was adaptable to various events held in the large space. Featuring electronic beam steering, 8 clusters of 4 Mugello-KH2 line array loudspeakers in white were selected for their precise and uniform coverage of the spacious area. And thanks to its Slim Array Technology, the KH2 offers high sound pressure with low back-end emission to direct the audio to the desired area. Each cluster was equipped with a K-Dante device that carries both the audio signal and the data to manage all the devices in the network for easy setup. I required a lightweight, focused system that provided high intelligibility to clearly project within the reverberant space and politely read over the potentially high floor noise of thousands of people. The Mugello system met all of these specifications.